Remarkable Marketable Me: Share things important to you! ~ Give Back! Share things important to you! ~ Give Back! 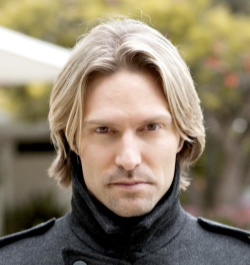 An accomplished composer, conductor and lecturer, Eric Whitacre has quickly become one of the most popular and performed composers of his generation. To visit the GiveBack main page click on the link above! The video above is of Eric Whitacre. I used this video not only because it's beautiful but to combine the sharing of great charities in enjoyable ways. GiveBack is a great way to share the charities that are important to you. to help people give back.The Give Back Foundation (EIN 26-2449481) was established to allow any person to join GiveBack and set up their personal foundation account. The funds that accumulate in that account are part of the Give Back Foundation. Each member has the ability to direct the funds from their account to any charity in good standing with the United States Internal Revenue Service. Together, all of the members’ accounts are gathered under one Give Back Foundation account awaiting the direction of each member. The members can give their money away whenever they choose, either as a single donation or as part of a group of people coming together to support a cause. 100% of the money that is directed to a charity is sent to the charity. The Give Back Foundation doesn't charge you or the charity anything for the transaction. Any money that a member adds directly into their GiveBack account is immediately tax deductible to the full extent allowed. Any additional money that may be added, either by our corporate sponsors or other individuals, is not deductible by the member. At year end the Give Back Foundation will issue every member a consolidated giving statement that may be used as an IRS tax receipt. 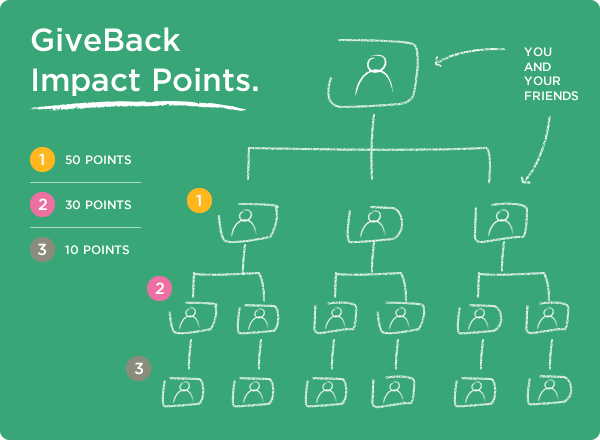 GiveBack allows you to give money to the causes you care about - and we make it easy to donate. Sign-up and get searching for charities or causes you’d like to support. Make a donation directly from your credit card. Shop with our 400+ online mall partners and earn up to 15% of each purchase. Engage with our sponsors and earn more for your foundation. 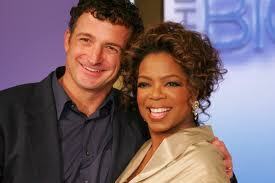 See how easy it is to earn money for your foundation all day, every day. Get involved 100 days of giving! When you login to GiveBack, you will be given a link on your homepage to share with friends. When your friends join using that link, you will get Impact Points. When their friends join, you'll get points too. And you'll even get some when their friends join. So you're not only doing good, but you're also increasing your chances of winning more money for your foundation. Read the full terms and conditions here. Shop and help your foundation! Wow! Jean, you really know how to find the help! Than you so much for doing the things you do and for being the person you are! I will put this in motion ASAP. Again, thank you!